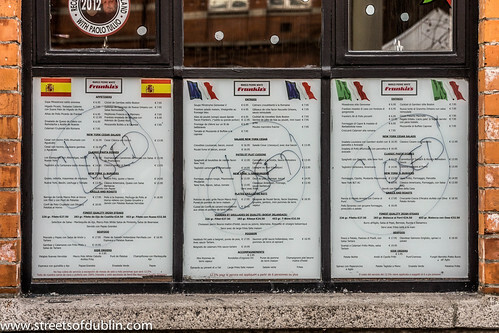 Frankie Makes way for McDonalds In Temple Bar, a photo by infomatique on Flickr. 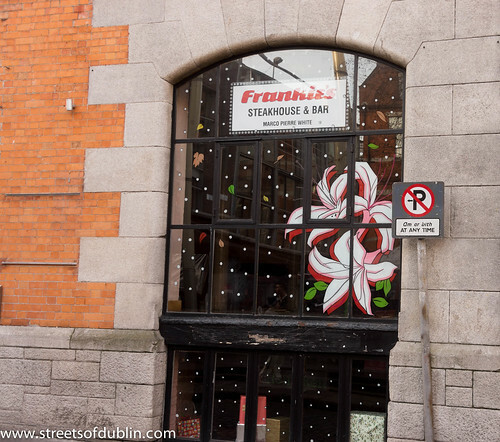 Dublin City Council had rejected an application for planning permission for McDonald’s to takeover Frankie’s Steakhouse and Bar at 42 Temple Bar Square , saying it would have a “detrimental impact on the mix of uses within the Temple Bar area, which already has an ample supply of restaurants”. McDonald’s originally proposed opening a a three-floor outlet with an ancillary takeaway. 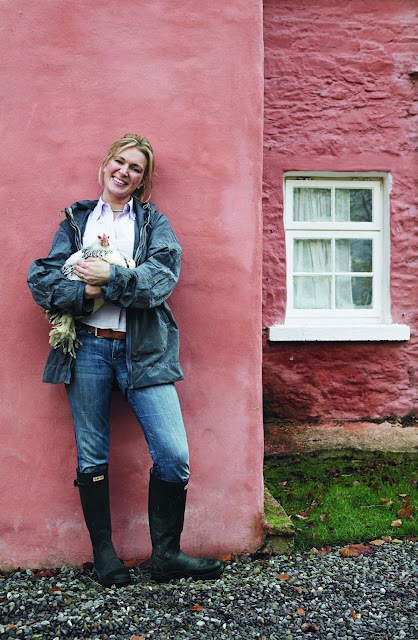 Ireland's favourite television chef and cookbook author, Rachel Allen, is heading to the Arabian Gulf for the first time in February 2013 as the Celebrity Chef for Gourmet Abu Dhabi 2013, the UAE's annual haute cuisine festival. The woman the media has dubbed Ireland's 'Queen of the Kitchen' says she's bursting with excitement over her planned trip to the UAE capital. "Here in Ireland we're constantly hearing about the UAE as more and more Irish flock to live and work there and visit. Everyone I've spoken to loves it there and I can't wait to immerse myself in the Arabic food and culture," said the 40-year-old mother of three. Rachel will be conducting a session at the Culinary Creation Stage at the five-star Westin Abu Dhabi Golf Resort & Spa on Saturday 9 February 2013, and she will design the menu and host a special Celebrity Dinner on Sunday 10 February 2013 at the luxury, beachfront Fairmont Bab Al Bahr. Rachel will also host an intimate culinary demonstration for 20 people on Monday 11 February 2013, where guests will be able to learn more about her favourite food, watch her prepare it and sit down to lunch with her. With the profile of Abu Dhabi continuing to rise in Ireland, the synergy between Dublin and the UAE capital as global gourmet destinations with shared cultures of warm hospitality hasn't escaped the best-selling cookery book author. "I'm really looking forward to experiencing the smells, flavours and tastes of Arabia, as this is new and exciting territory for me to explore," added Rachel. "One of my main goals during my visit will be to learn how I can incorporate the use of unusual spices such as sumac and saffron into my cooking, which I can bring back to Ireland to share." Rachel's Gourmet Abu Dhabi date is expected to take the UAE capital further into the Irish limelight as the Emerald Isle continues to grow in importance as an overseas hotel guest source market for the emirate. "Rachel was a natural choice when we looked for someone from whom we could leverage our growing links," said Noura Al Dhaheri, Leisure Products Development Manager, Abu Dhabi Tourism & Culture Authority (TCA Abu Dhabi), which presents Gourmet Abu Dhabi. "With Etihad Airways now operating ten flights a week between Dublin and Abu Dhabi and enjoying an equity share in Aer Lingus, the prospects for attracting more Irish to our shores are extremely high. Ireland's new link with Gourmet Abu Dhabi will assist this process." Ireland currently ranks among Abu Dhabi's top 25 source markets for hotel guests - standing at 24th -with some 9,840 Irish staying in the emirate's 136 hotels and hotel apartments in the first 10 months of this year - a 15% rise on the same period in 2011. Together the Irish guests accounted for 41,563 guest nights - a increase of 14% on the same period last year with the Irish guests staying an average of 4.22 nights in the emirate. Abu Dhabi's expanding links with Ireland includes Etihad Airways' recent partnership with the Irish Museum of Modern Art for the Sidney Nolan Ned Kelly Series exhibition, the airline's sponsorship of the Gaelic Athletic Association and of Dublin's 14-storey Etihad Airways Skyline attraction. Rachel says the links have brought Abu Dhabi more into prominence in her homeland and has piqued her interest in getting out and about in the emirate. "On top of my list of must-sees is the fish market in Abu Dhabi and the heritage site of Al Ain with its oases, date farms and camel market," concluded Allen, "but I'm also on strict orders from my ten-year-old son to visit Ferrari World Abu Dhabi and bring him back a souvenir though in the long run I don't think he will be satisfied with anything less than a visit there himself one day!" Brought up in Dublin, and with a lifelong passion for cooking, Rachel trained at the internationally reputed Ballymaloe Cookery School in Ireland, where she still teaches. Her philosophy on food is that good ingredients simply prepared give great results. Her food reflects the demands of her own lifestyle - a busy working mother entertaining at home producing simple food classics with her own individual spin that comes from many years of working in an internationally-rated establishment. 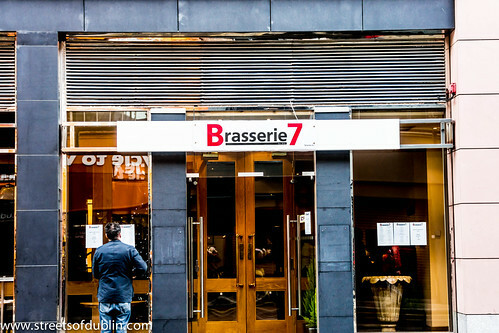 New Brasserie 7 Restaurant On Abbey Street (I Was Their First Very Customer), a photo by infomatique on Flickr. Abbey Street is located on Dublin's Northside and is one of the principal shopping streets of Dublin, running from the Customs House in the east to Capel Street in the west. 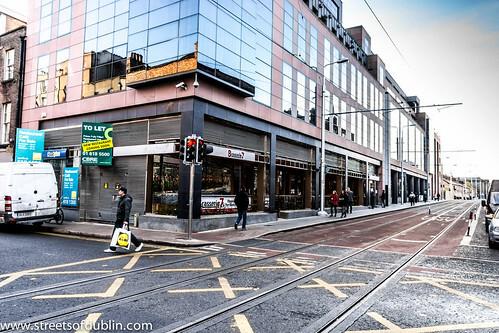 The street is served by two Luas light rail stops, one at the Jervis shopping centre and the other near O'Connell Street. The National Theatre of Ireland, the Abbey Theatre is located on Abbey Street as is the Peacock theatre. 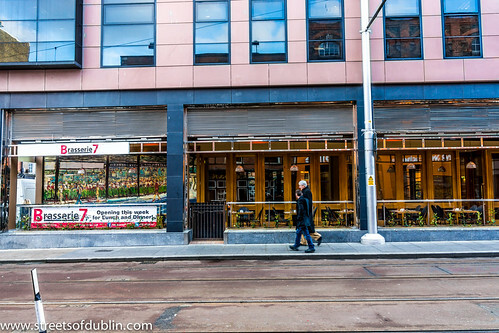 The old buildings of the Irish Independent newspaper 'Independent House' are located on Middle Abbey Street. 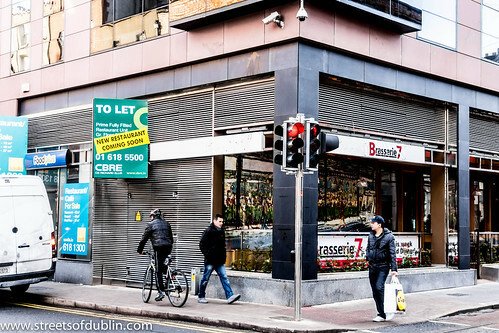 (The offices have since moved to Talbot Street). St. Mary's Abbey is on Meetinghouse Lane off Abbey Street. The Royal Hibernian Academy used be located in Lower Abbey Street but was destroyed in 1916. In 1785, James Napper Tandy stayed at 180 before eventually fleeing to the United States. George Frideric Handel stayed in Abbey Street while in Dublin producing Messiah at Fishamble Street in 1742. In 1900, Maud Gonne founded Inghinidhe na hÉireann (The Daughters of Erin) at 32 Lower Abbey Street.